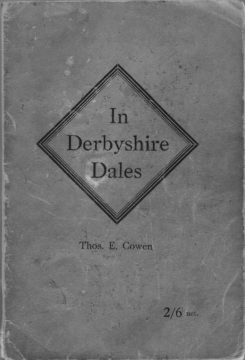 Probably the oldest published book about the village, Thos E Cowen captures the village at a moment in time over 100 years ago. 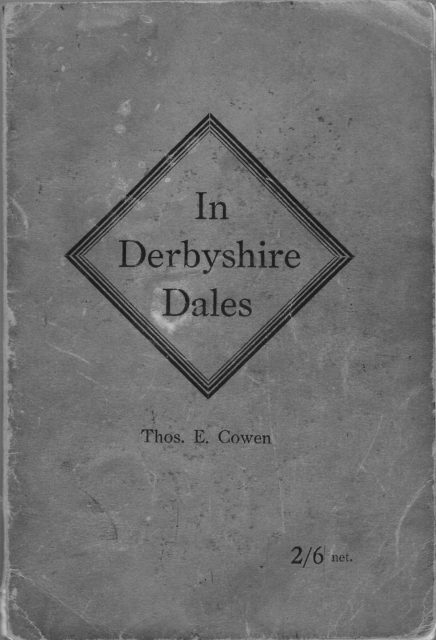 This edition was published in 1941, it was kindly donated by Kathleen Heginbotham, whose father owned the boot factory at Calver. EMERGING from the First Meadow through a stile two low buildings appear on the right in a quiet country lane, and the water, flowing from an enclosed plot of ground is warm, and water vapor appears over the receiving trough. These two baths are of Roman antiquity, and the waters are of radio-activity. For a distance of over three miles the flow of water is under-ground, and it has its origin in a fault in the strata at Foolow. 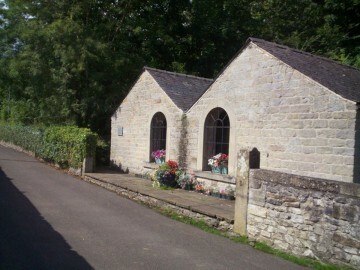 The lane opens into a pretty shady nook, one of the beautiful spots in this village. THE eminence known as “Castle Hill” is a conical summit on the Bank, Stoney Middleton commanding a good view from the south. It is undoubtedly an old British earthwork or watch tower with a surrounding wall and a vallum, or ditch, leading to another smaller hill called Castra Bank, behind Nook House in the direction of the Roman Baths. The narrow sheep-walk is traceable on the slope. Much might be gleaned by excavating at the summit by means of a pick and shovel. At the demolition of an old barn belonging to Dennis Ragg, of Stoney Middleton Bank, in 1806, an iron battle axe 4 ft. long was found in a side wall.